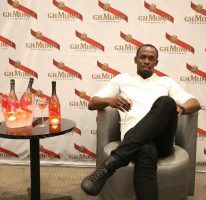 The best athlete of history Usain Bolt will fly to Ostrava this year again, where he will perform at the 100m on Wednesday 28 June at the 56th Ostrava Golden Spike international athletic meeting of the IAAF World Challenge. “We have been discussing the ninth Ostrava appearance of the most wanted athlete of the planet since his last triumph at the Olympic Games in Rio, and this weekend he finally confirmed that he is ready to race and that he wants to come to his favorite Ostrava. 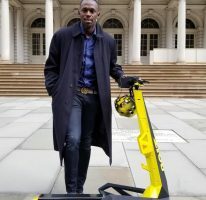 We welcomed him here for the first time as an unknown promising kid from Jamaica, and we will be saying goodbye to him as the greatest star of world athletics,” said the owner of the organizing agency TK Plus Miroslav Černošek. In total, Bolt started in Ostrava four times at 100m, three times at 200m and once at 300m, always winning. 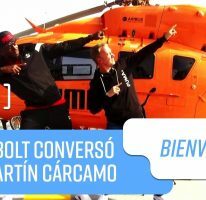 Ostrava Golden Spike is the number one when it comes to the number of Bolt´s starts at the meetings together with London, where he has raced eight times, but most of his starts were up to 2009. And because London is not in Bolt´s schedule this year, Ostrava, after his start, will become the place, where Usain Bolt had the most starts from all meetings! 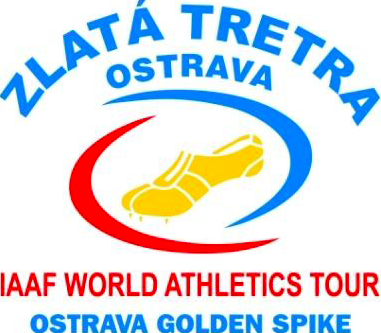 “For spectators at the City Stadium as well as in front of the TV screens, it will be the last chance to see the king of the world athletics competing in the Czech Republic. It’s great that we managed to agree on his start also this year. It will be an opportunity for the whole region to say goodbye to Bolt. We are already looking forward to his start and farewell party,” said Jan Železný, the meeting director. Ticket sale: Ticket-Art (https://vstupenky.ticket-art.cz/), actually last 1000 tickets left. One day before the main event on 27 June, the hammer throw competition is traditionally in the schedule. Men: 100 m, 300 m (Gyulai Memorial), 1000 m, 10 000 m (Zátopek Memorial), 3000 m Steeplechase, 110 m H, HJ, TJ, SP, JT, HT. Women: 200 m (Slanina Memorial), 1500 m, 100 m H, PV, HT (Skolimowska Trophy).